OWNER SURRENDER at Miami Dade Animal Services. This piece of garbage man was going over 80 on the highway with this senior dog in the back of the truck. Male German Shepherd, calmed boy good with other dogs. 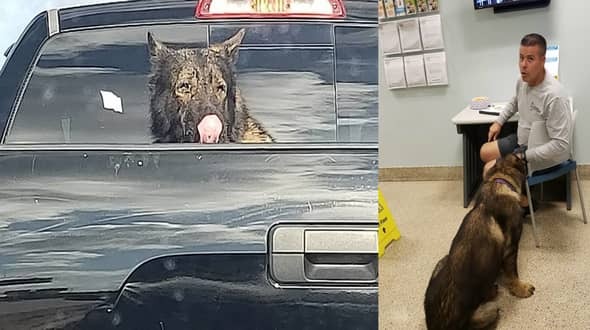 2 Responses to "Man going over 80 on the highway with this senior GSD in the back of the truck and surrender him to Mdas"
UPDATE: Linda Lamek Healy - Rescue Hold with Heids Legacy to be taken to our vet in Miami after 11.